What Does The Best Bond Cleaning In Highgate Hill Cover? Finding and selecting reliable house cleaning in Highgate Hill is not easy. The most common questions we get asked by people like yourself have been collated below to assist you in making a smart decision. 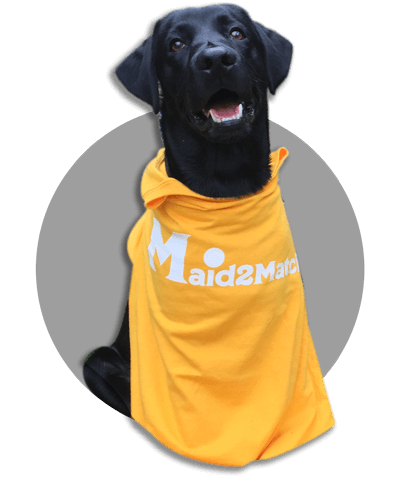 WHY ARE MAID2MATCH HIGHGATE HILL’S BEST AT VACATE CLEANING? The truth is great bond cleaners possess a different skill set than regular house cleaners and therefore requires specific experience, dedication, and a first-class cleaning checklist. At Maid2Match, we personally vet all our cleaners, after having them complete a three-part application form. We provide extensive support and have crafted the most effective bond cleaning checklist you’ll find. If you are looking for end of tenancy cleaning services be sure to contact us today. With Brisbane CBD just 2 kilometres to its north, Highgate Hill is one of the most interesting suburbs of Brisbane, with a fascinating history. Set on the banks of the Brisbane River, its wavy hills are stout but beautiful. This high-density suburb boasts a lot of apartment buildings on Dornoch Terrace, some of which are over 10 storeys high. Most of these blocks are set on this road, following the famous, heritage-listed Torbreck building. However, you can see plenty of older houses in Highgate Hill as well, some of the villas being on the heritage list too. The urban environment isn’t the only thing you can admire in Highgate Hill today. Originally a hunting ground for the Aborigines, the banks of the Brisbane River were filled with lush vegetation, such as the plethora of ferns, scrub palms, vines, figs, pines, rare orchids and elkhorns, which you can still find some remnants of to this day. If you enjoy nature walks, you can always climb up to the highest point on the nearby hills and enjoy the little park there. There are also Lyons Playground Park with its community garden and Brydon Street Park, but the true hidden gem of Highgate Hill may very well be St. Veronica’s Thrift Store.